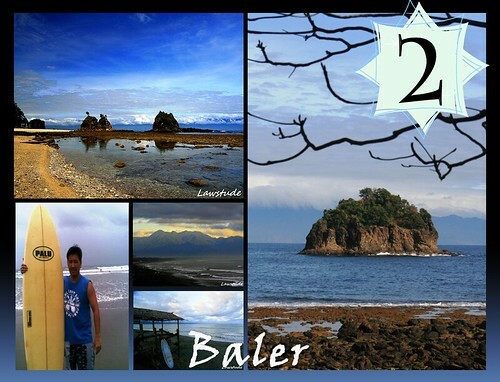 I have visited Baler twice in 2010 and truly enjoyed its rural appeal. The sunset at Sabang beach is just fascinating and the rough pounding of the waves against the rocks at the shore is truly a sight to behold. As you may already know, I lost a lot of things in Baler when my boat capsized but then again, that will not take away the wonderful memories I have of the place. 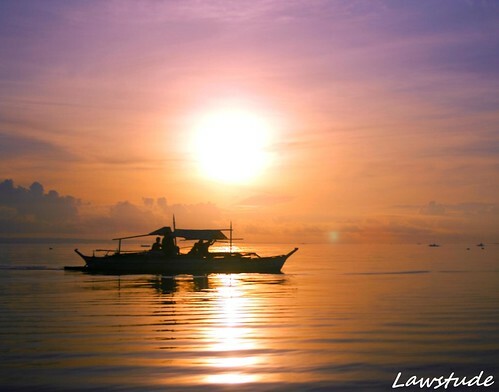 The largest city in the Philippines undoubtedly offers some of the largest adventures for those who seek it. 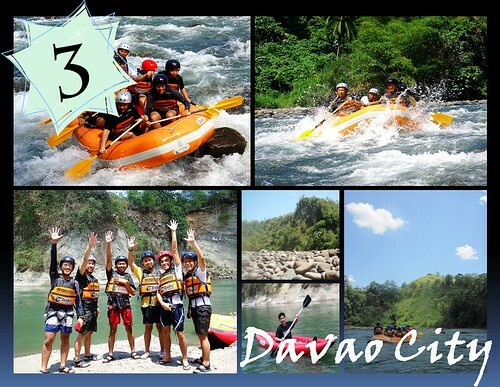 On my second time to Davao City, I braved the rapids of its river by doing white-water rafting. This is the second time I have done this adventure (the first was in Cagayan de Oro) and it truly is twice the fun. 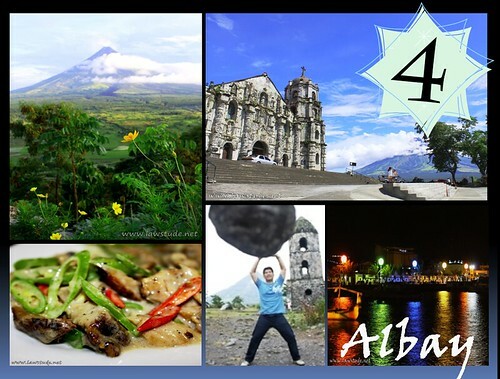 The centerpiece of this province is Mount Mayon but I have also visited some of oldest and picturesque churches in Tiwi, Daraga, Legaspi and Tabaco. The place also offered some of the best spicy foods around like Bicol Express and Pangat. They say that if you have a good heart, the Mayon will let you see its full glory and as evidenced by my photos atop Lignon Hill, the famous Volcano showed me her perfect cone. A small island with a long moniker. 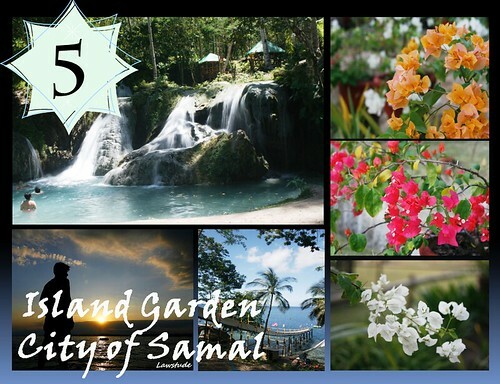 The Island Garden City of Samal truly lives up to its name and more. The Hagimit Falls is a refreshing treat to the eyes with its series of cascades. The Maxima Aqua Fun featuring a long slide to the sea is such an adrenaline-pumping activity. 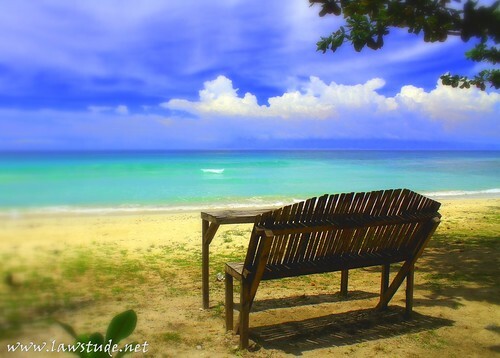 But amidst those, one of the best thing to do in the island is just to relax by the beach front and watch the sun fade into the night and let the stars and the lights of the nearby Davao City thrill the night. 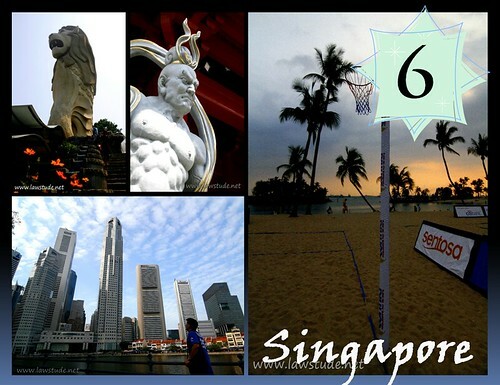 My only out-of-the-country travel in 2010 was in the Land of Merlion. This is my second time to this country and this time, I have visited Sentosa Island and did the Cheng Ho River Cruise. Of course, walking around the city and just marvel at this clean, urban place was among my itinerary. The crepuscular rays of the sun as it hides behind the darkening clouds greet us in the beaches of Gumasa. Its fine, white sand is comparable to some of the best beaches of the country. My trip to Gumasa was one of the fastest and shortest visit I ever had and the habal-habal ride going to Glan was definitely one of the scariest. 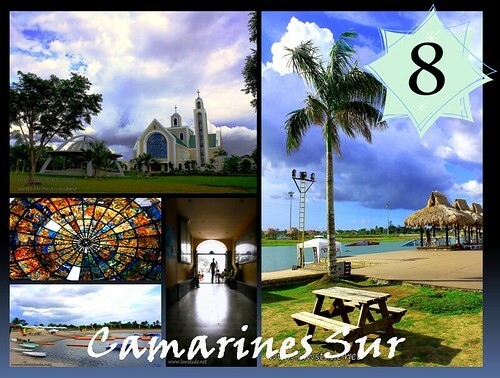 The Penafrancia churches of Naga and the Wake Boarding Facilities of Pili make Camarines Sur an interesting travel destination. Although I have not tried wake boarding because of a sore elbow, I did the next best thing in CamSur Watersports Complex - that is eat their Bicol Express Pizza and spend sometime in their infinity pool. Of course, visiting their famed churches will let you feel how the Bicolanos love their Ina - the Lady of Penafrancia. 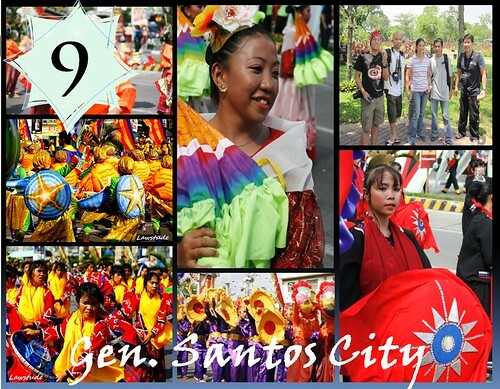 I have visited General Santos City in time for the Kalilangan Festival. 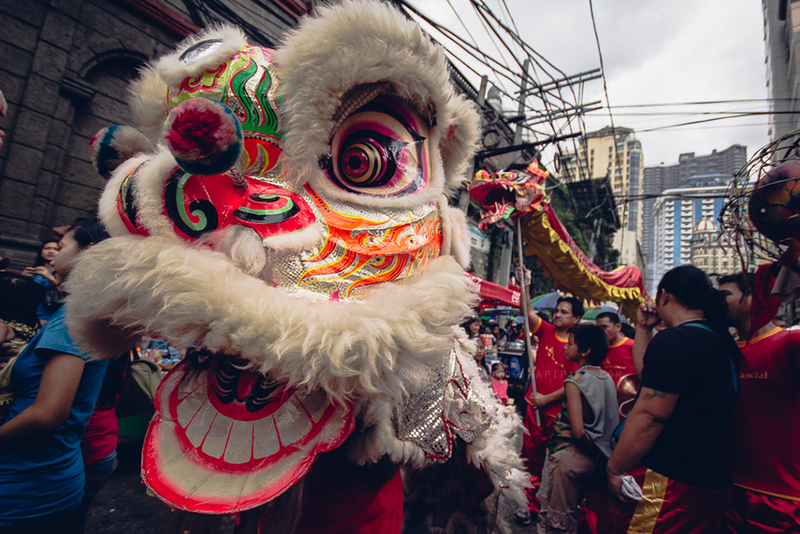 The street parade with dancing and colorful costumes make for an interesting event. This was also my second time in this place famous for its tuna and of course, Manny Pacquiao. I am torn between these two places so I decided to include them both to cap-off my list. Both are road trips with my best travel buddies. The Tagaytay trip with Ironwulf, Lagalog and Erick was filled with food trip and relaxation while the Laguna trip with Lantaw, Dong Ho and Erick included visits to Paete, Caliraya Lake and Cavinti Japanese Garden. These are the places that made-up my top 10 travels of 2010. Some I have gone for the first time while others I have been to before but experienced them in a different way. Glory and praises to the Divine guidance that always keep me safe. As always, have a safe journey everyone!!! Breathtaking as always and as always I wish I were able to visit these incredible places! Your photos are always the next best thing! Have a great week! You and your camera had a WONDERFUL year together! Beautiful! Nice to see Singapore in your top 10 hahaha. 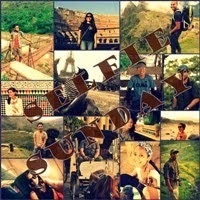 I still have not post anything in 2011, being too lazy in 2011.
so many places you've visited Oman! Galing! 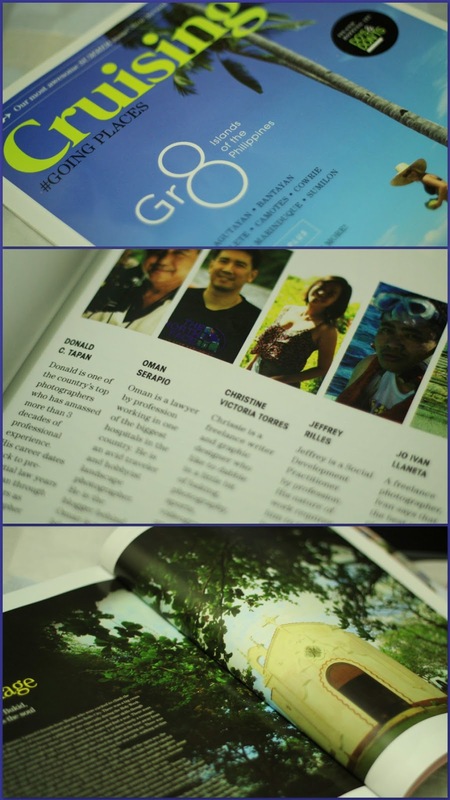 Hope to meet you and the rest of the other travel bloggers one of these days! Palagi ba kayon mag kasama ni donG? Your travels are almost similar to his. Masaya if friends have the same hobby and travel together. 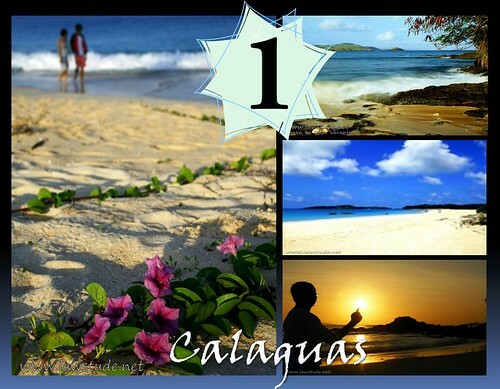 Calaguas is getting the attention it deserves. 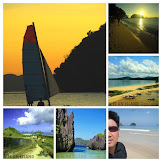 Lahat ng nabasa kong travel blogs, laging kasama ang Calaguas sa top 5. Coool! Happy 2011 and more travels! What a list. I enjoyed each posts you made on these places. it was still a kickass year oman! more trips for 2011! calaguas talaga yung number 1, sana makapunta rin ako dyan. 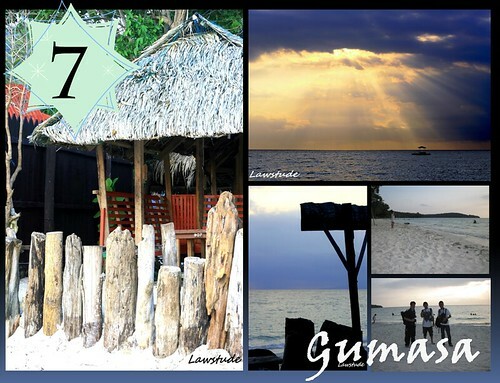 Out of the 10 places in your list, Gumasa me curious the most. Hope to visit it this year as well, great list Oman, more adventure to come! wow that's your off year? what a full year it seems to me. Calaguas is beautifully romantic. Great Top 10 Lawstude. Dalawa sa top ten mo idol ang napuntahan ko na rin- Ang Samal at Gen San. 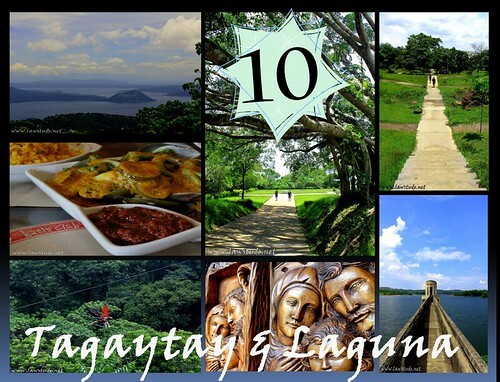 Naging palagala din ako dis 2010 and it felt good to see the beauty of different places here in Pinas! More gala sau idol in 2011! 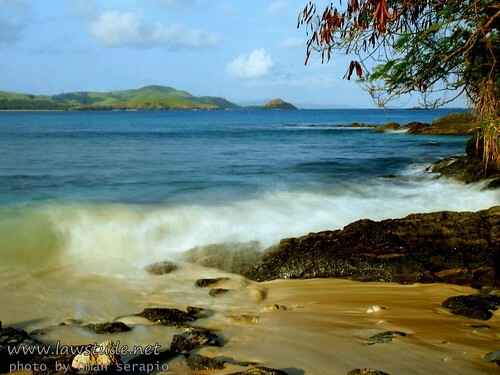 I'm targeting to visit Calaguas this summer. Hope makapunta ako. Ang ganda. A lot of bloggers have been recommending Calaguas talaga. I think we'll be going there this March. I think with your list, the place will definitely not disappoint. LS: Amazing travels through your country, just amazing trips. wow! discovered you from chyngs blog! :] Great photos! awesome and really inspiring!! <3 <3 more travels for 2011!! I know that you have a good heart because Mayon have showed up her beauty. Like Claire, I am also curious with the Gumasa of Glan, Saranggani. No. 1 talaga ang Calaguas. 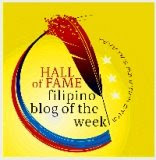 Will be in Cebu by next week for a heritage tour. :-).